Mousse. To Americans, this is a very funny-sounding name for such an elegant dessert or main dish. The plural of this French concoction is actually mousses! Mousse actually means 'foam' in French; all of the recipes for it are highly foamed; this includes the main dish mousses which are made with pureed seafood, meat or cheese. If gelatin is added, these non-dessert mousses are molded and served cold. If they are to be baked or steamed, the foam is provided by beaten egg whites. 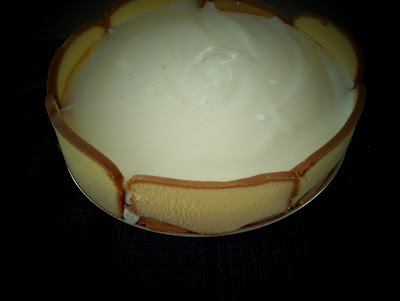 Dessert mousses often have a custard base which is chilled. Frozen mousses may contain pureed fruit or juices which are folded with whipped cream. The textures should be velvety and smooth. There are three key items that make up a mousse. First is the base which is what gives the dish it flavor such as chocolate or salmon. Next is the binder, or gelatin which is soaked in a cool liquid first to soften and swell This is known as "blooming." Chocolate and cheese mousses do not need binders. Last, a mousse is given its airy quality with beaten egg whites or whipped cream which need to be mixed in gently to prevent them from deflating. Somehow, the meat and seafood mousses do not appeal to me, although I have never tasted one to see if the mental turnoff is real or not. Chocolate, lemon, and raspberry mousses all sound wonderful...I would gladly eat any of them. When chocolate mousse appeared in magazine recipes sometime in the 70s, cooks all over wanted to try this cutting-edge confection. Companies set out to give the housewife what she wanted, only faster, so they came up with ways to package mousse mixes that were effortless and generally foolproof. Mousse can be as common as pudding, but can be much better. Today's recipe is a mousse variation. The hardest part of making it is waiting for it to set up! It makes a wonderful dessert for a gathering and the colors just invite thoughts of summertime. I made it for the first time in the late 80s, loved it and promptly forgot about it. What a dumdum...it is elegant and light...a perfect ending to a special meal...it could even show up at a potluck and give you the reputation of a gourmet! 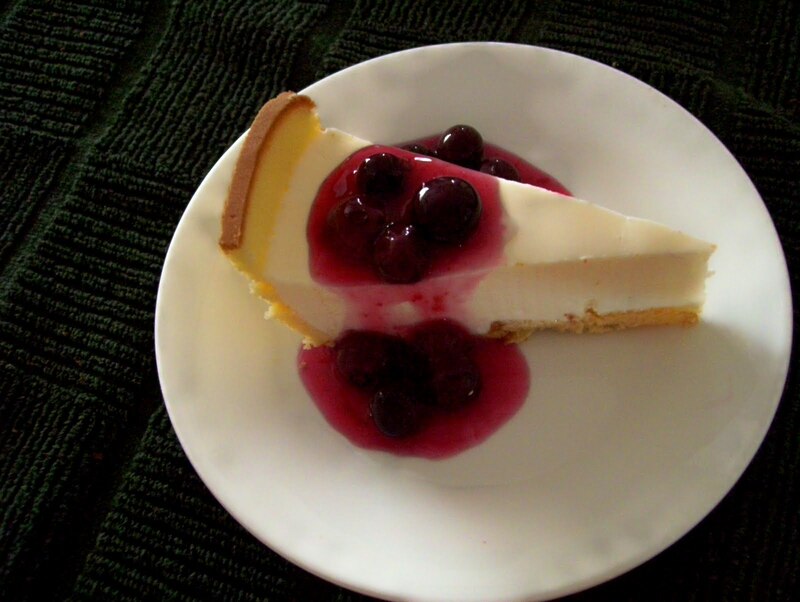 (This looks like cheesecake, but is nothing like it in taste or texture...it is a real surprise to everyone who takes a first bite). Line bottom and sides of 8-inch springform pan with cake slices; set aside. Sprinkle gelatin over water in a small saucepan; let stand1 minute. Cook over low heat, stirring constantly, 1 min. or until gelatin dissolves; set aside. Combine milk, lemon rind and lemon juice, stirring well. Fold into whipped topping. Pour mixture into prepared springform pan. Cover and refrigerate overnight or until set. Remove sides of pan; Place mousse on a serving platter. Serve with a berry or chocolate sauce.